Denver Botanic Gardens and Reefs to Rockies are offering a unique trip to Mexico. Travelers will explore Veracruz, home of the vanilla orchid, gourmet coffee, abundant biodiversity and rich cultural history. 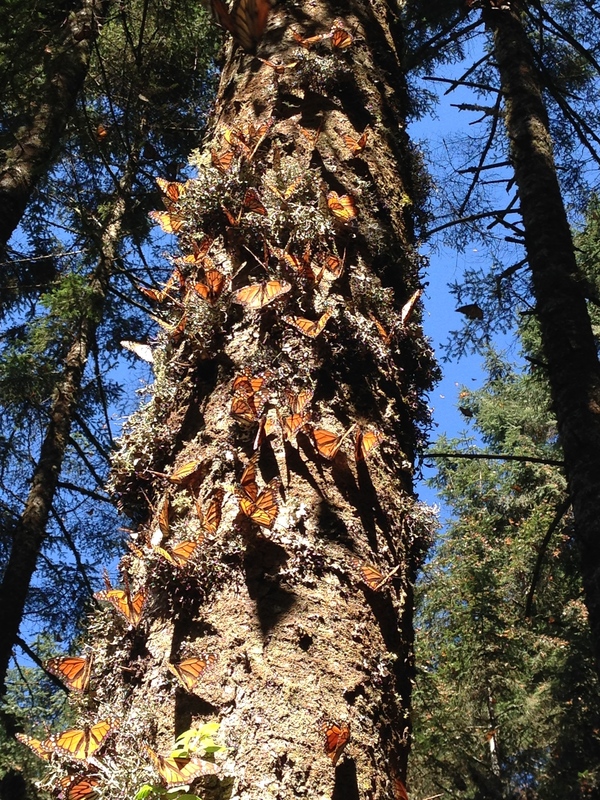 Every winter, the cloud forests in the mountains of central Mexico play host to millions and millions of over-wintering monarch butterflies. After Veracruz, head west to Valle de Bravo, the access point to Mexico State’s El Capulin and Piedra Herrada monarch reserves. The trip culminates in vibrant Mexico City with a visit to Xochimilco’s floating gardens and Zocalo. Sonya Anderson, Horticulturist at Denver Botanic Gardens, is accompanying the group for the dates of February 9-17, 2019. Sarada Krishnan, Director of Horticulture at Denver Botanic Gardens, is accompanying the group for the dates of February 16-24, 2019. DAY 1 (Saturday): Arrival to Veracruz City~ Evening arrival to Veracruz International Airport and transfer to hotel. DAY 2 (Sunday): Coatepec (Coffee Growing Region)/ Orchid Garden Museum/ Cooking Class ~ After breakfast at Gran Café del Portal, travel to the town of Coatepec, a Pueblo Magico famous for its historic monuments, aromatic highland coffee, mansions that have served as movie sets, and gardens lush with orchids (drive time approx. 2 hrs). Visit Museo Jardin de las Orquideas (Orchid Garden Museum) where more than 5,000 orchid specimens are on site. Stroll through the town square, visit local shops and the church. This evening, enjoy a regional dinner prepared by Chef Tania Bonilla at La Finca de Don Silvano. DAY 3 (Monday): Hacienda Zimpizahua/ Xalapa Botanical Gardens/ Tecolutla ~ This morning, you’ll transfer to Hacienda Zimpizahua a restored coffee plantation house and grounds for a walking tour. After breakfast at the hacienda, continue to La Finca de Don Silvano for a coffee tasting and demonstration. 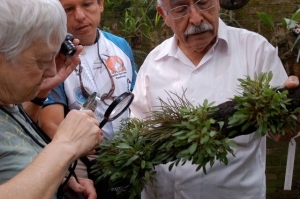 Afternoon transfer to Xalapa for a guided tour at Jardin Botanico Francisco Javier Clavijero. The gardens span 16 acres on the windward slopes of the Sierra Madre Occidental in a cloud forest environment. This evening, travel to Tecolutla with dinner en route (drive time approx. 4 hrs). DAY 4 (Tuesday): Vanilla Processing/ Nautla/ La Mancha/ Veracruz City ~ One of Mexico’s many gifts to the world is vanilla and the state of Veracruz is the land of the vanilla orchid. Today, you’ll have a private tour at Gaya Vai-Mex in the town of Gutierrez Zamora. Founded in 1879, Gaya Vai-Mex is one of Mexico’s leading producers of high quality vanilla extract and beans. Continue to the coast and La Mancha this afternoon for a scenic boat ride through a mangrove estuary (drive time approx. 1.5 hrs). Your day ends back in Veracruz City with dinner (drive time approx. 1.25 hrs). DAY 5 (Wednesday): Veracruz/ Mexico City/ Metepec/ Valle de Bravo ~ This morning, transfer back to the Veracruz Airport for your short non-stop flight to Mexico City. Upon arrival, to Mexico City, you’ll be met by your new guide for your transfer to the town of Valle de Bravo with a stop for lunch and an artisan demonstration in Metepec en route. 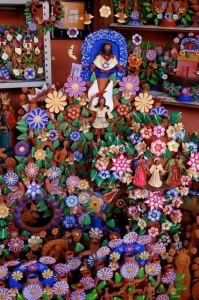 Metepec is the community where artists create elaborate Arbol de la Vida (“Tree of Life”) clay sculptures. Valle de Bravo (or simply “Valle”, as it’s lovingly referred to) is located approximately 2 hrs west of Mexico City. Valle’s cool weather and panoramic views of the lake are a delight to visitors. 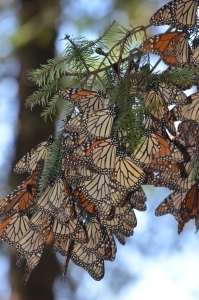 DAY 6 (Thursday): Valle de Bravo/ El Capulin Monarch Sanctuary ~ Mexico’s Monarch Butterfly Biosphere Reserve is a UNESCO World Heritage Site and one of Mexico’s top ecotourism destinations. The reserve spans the borders of Michoacán and México State in the western central highlands of Mexico. 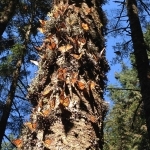 Standing in the forests of the reserve as millions of orange and black monarch butterflies swarm overhead is a magical site and today, you’ll experience it first-hand at El Capulin Monarch Sanctuary. This afternoon and evening, there will be time to explore Valle. DAY 7 (Friday): Valle de Bravo/ Piedra Herrada Monarch Reserve/ Toluca/ Mexico City ~ Today brings a morning visit to Piedra Herrada Monarch Reserve. On the way to Piedra Herrada it’s common to encounter swarms of monarchs as they cross the road close to the reserve’s entrance. Each day, millions of butterflies head down from the mountains and out along the road on their way to a nearby river which serves as a butterfly watering hole. 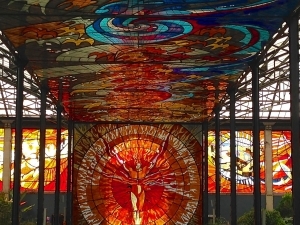 This afternoon, the group will head back to Mexico City with a stop at Toluca’s Cosmovitral Botanic Gardens. DAY 8 (Saturday): Mexico City/ Xochimilco ~ One of the largest metropolitan areas in the world, Mexico City is a fascinating capital with endless options. Visit Xochimilco Floating Gardens to learn about their pre-Hispanic past and current restoration efforts before heading to the city’s bustling Zocalo for a walking tour. 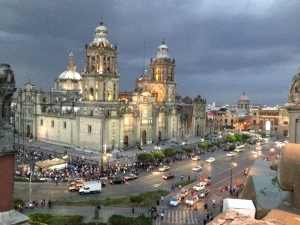 For your final evening in Mexico, enjoy a special farewell dinner in the city. DAY 9 (Sunday): Departure ~ Transfer back to Mexico City International Airport for your flight home. Price: $3895* per person for DBG members (double occupancy); add $100 per person for nonmembers. Single supplement: $585* (subject to availability). Includes: private transfers and guided tours, entrance fees as listed, all meals beginning with breakfast on Day 2 through breakfast on Day 9, local guides and horse rental at butterfly reserves, basic no trip cost travel insurance (pre-departure cancellation can be added at additional cost), and internal flight (one-way from Veracruz to Mexico). Exclusions: international airfare, passport/visa fees, gratuities for your local guides/drivers, optional activities, and personal expenses. *Pricing is subject to change until deposit received and internal flights are booked.